A 29-year-old Russian-born, Los Angeles resident has been sentenced to over nine years in prison for running botnets of half a million computers and stealing and trafficking tens of thousands of credit card numbers on exclusive Russian-speaking cybercriminal forums. Alexander Tverdokhlebov was arrested in February, pleaded guilty on March 31 to wire fraud and on Monday, a federal court sentenced him to 110 months in prison. At various occasions between 2009 and 2013, Tverdokhlebov claimed on the underground forums that "he possessed 40,000 stolen credit card numbers and could control up to 500,000 infected computers." Tverdokhlebov emigrated from Russia in 2007 and later obtained United States citizenship. He also hired two Russian students studying in the America to cash out funds from a compromised bank account. 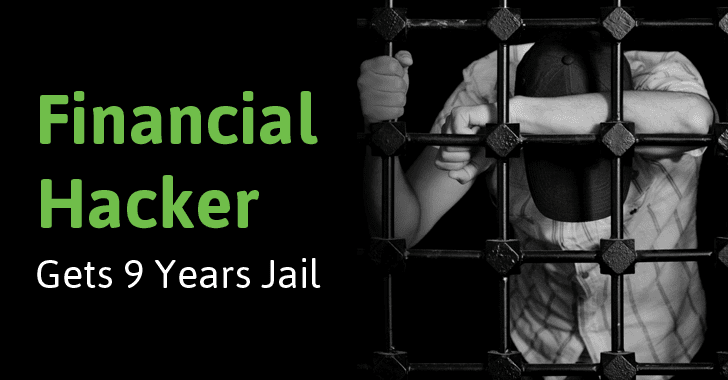 At the time of his arrest in February, federal authorities seized approximately $5 million in Bitcoin and $272,000 in cash from Tverdokhlebov, while he was trying to steal money from thousands of online US bank accounts. "As part of the sentencing, the court also ordered the defendant to serve three years of supervised release following his prison term, with conditions of release that will include monitoring of the defendant's computer use," the Department of Justice said. Most of his family is still based in Russia, and the only significant tie he has in the United States is a relationship with a Russian-born woman based there. Tverdokhlebov also married an American citizen in 2009 but divorced her shortly.